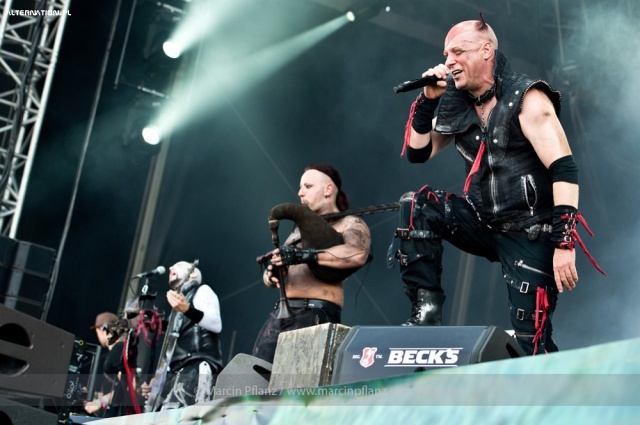 Folk metal is a sub-genre of metal music that developed in Europe during the 1990s. As the name suggests, the genre is a fusion of metal with folk music. This includes the widespread use of folk instruments and, to a lesser extent, traditional singing styles. The earliest exponent of folk metal was the English band Skyclad. Their debut album, the wayward sons of mother earth, was released in 1990 and, for a few years, they were the only known folk metal band in existence. It was not until 1994 and 1995 that other early contributors in the genre began to emerge from different regions of Europe, as well as in Israel. Significant among these were the bands Cruachan (Ireland), Orphaned Land (Israel) and Subway to Sally (Germany), with each creating a different regional variation of folk metal that over time became known as celtic metal, oriental metal and mittelalter rock respectively. Despite these aforementioned contributions, folk metal remained little known, with few representatives during the 1990s. 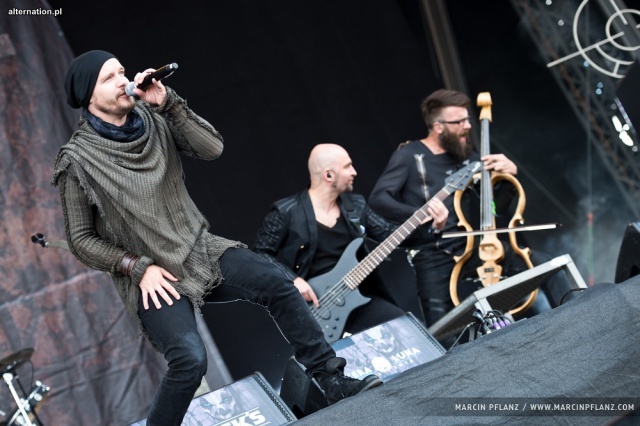 It was not until the early 2000s that the genre exploded into prominence, particularly in Finland, with the efforts of such groups as Ensiferum, Finntroll, Korpiklaani and Moonsorrow. Folk metal is characterised by its diversity, with bands known to perform different styles of both heavy metal music and folk music. A large variety of folk instruments are often used in the genre, with many bands consequently featuring six or more members in their regular line-ups. A few bands are also known to rely on keyboards to simulate the sounds of folk instruments. Lyrics in the genre commonly deal with fantasy, history, mythology, nature and paganism.